A great looking budget 12v powered 4x4 with powerful twin motors! 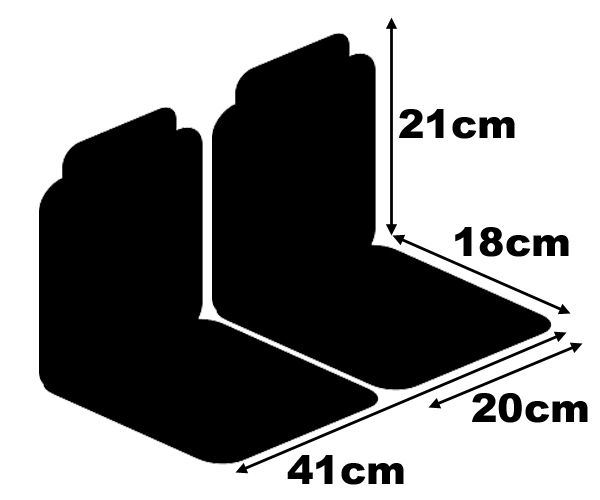 IMPORTANT NOTE: This is a small 2 seater model with the possibility to accommodate 2 young children - please check that the total width of the seats (2 x 20cm) is sufficient. 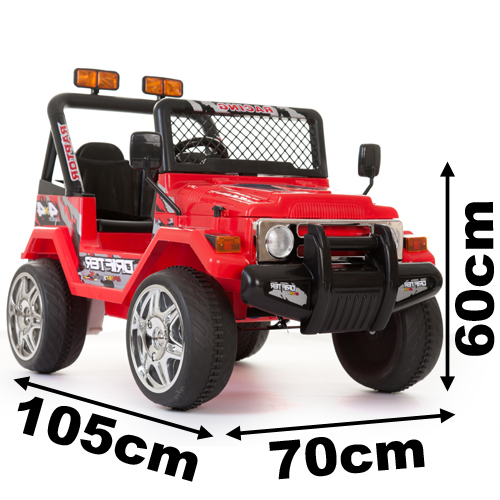 Powerful 12V twin motors - This 4x4 type model includes a pair of drive motors, giving extra torque on less perfect surfaces like grass or gravel driveways. Two seater - This model is fitted with a double seat, suitable for two younger children, or one older child, please check dimensions. Optional use 2.4G Bluetooth remote control - The car can be used with the in-car controls, using the pedal, forwards/reverse switch and steering wheel, or can optionally be used remotely with the parental control. The parental radio remote can operate from up to around 20m away and controls forwards/reverse and moves the steering wheel left and right. Steering wheel sounds - making horn, turn sounds and also music. Working lights - The front headlights illuminate when the music is operated. MP3 Player Input - The dashboard features an MP3 player input with volume control for playing music on the move. Battery meter - Dashboard mounted battery meter (on the MP3 display) to indicate remaining playtime. Suitable operating surface - Flat lawns or grass, firm gravel, or any firm, flat surface.